One of the main difficulties of low-carb diets is counting the total carbs consumed. Oh, wait! Or is it net carbs? Complicated, right? In this article, we’ll discuss this confusion by answering some fundamental and significant questions – what are net carbs, the difference between net carbs and total carbs, and how to determine net carbs from food labels. So, let’s get our facts straight. 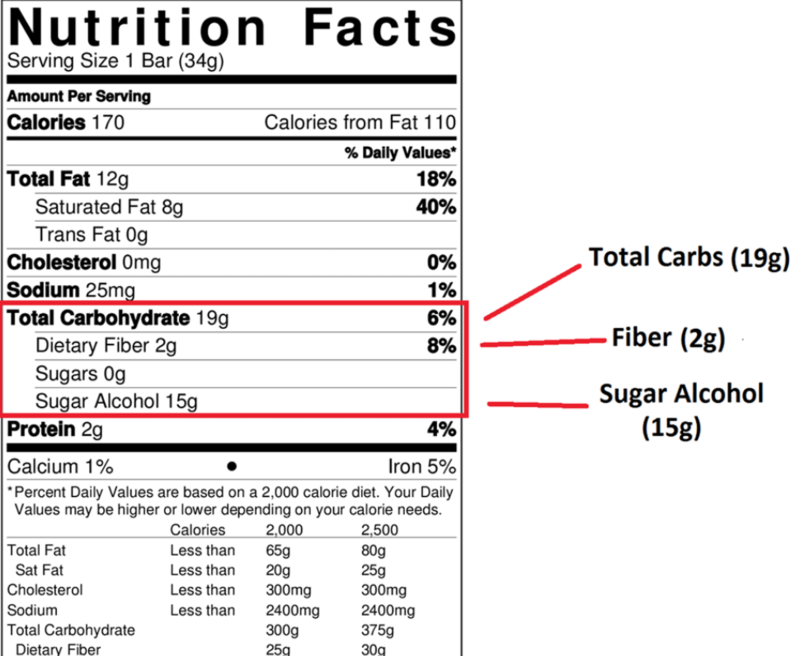 Net carb is a term developed by food and beverage companies, and it is computed by subtracting the amounts of fiber and sugar alcohol from the total carbs mentioned in the nutrition label. The term “net carbs” is not supported by the FDA and is not the true representation of the number of carbs present in a particular food. Net carbs interest people who want to consume less number of carbs yet enjoy the delicious foods that are marketed. The term “Net Carbs” came into occurrence as more and more people started following low-carb diets. Food companies observed a general behavior in their existing and potential customers – buying packaged foods that are low in carbs. For instance, if you don’t know the difference between total carbs and net carbs and analyze the carbs in two similar products of different food companies, you will most probably buy the one with the lower number of carbs. What you will miss examining is whether the food label talks about “net carbs” or “total carbs.” There’s also one more reason “net carbs” came into existence. How Do Net Carbs Work? Net carbs work by making people believe that they are consuming fewer carbs. Now, this has a little bit of scientific history. Not all carbs act the same way in the body. Refined and simple carbs get assimilated quickly, and they raise blood glucose and blood insulin levels instantly – these are also classified as high-glycemic index foods. On the other hand, complex carbs like dietary fiber get digested and absorbed gently. Other carbohydrates like sugar alcohols (sorbitol, xylitol, mannitol, and other polyols) come from plant products and are altered through a chemical process. These sugar substitutes are not well assimilated, render fewer calories, and may even have an insignificant laxative effect. 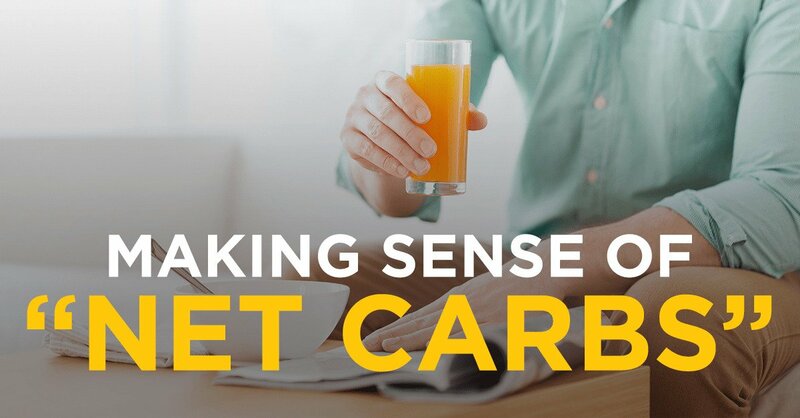 So, the food companies fired a new trend – Net Carbs, which excludes the sugar alcohols, dietary fiber content, and glycerine from the total carb content. This may seem to be absolutely fine, but there are no appropriate supporting scientific data to back it up. In fact, few sugar alcohols can increase blood glucose levels and are also higher in saturated and trans fats! Low-carb diets may benefit people to lose weight. To the common man, the low-carb content in several processed foods may appear attractive and weight loss-friendly, but it may not be the complete truth. Chefs around the world have come up with thoughts to make low-cal pizza, low-carb mashed potato, etc. by substituting the main carb or calorie contributing vegetable or ingredient with another healthy whole food. But that’s not the case with processed foods. To lower the number of carbs and calories in processed foods and yet keep them appetizing, food companies use ingredients that are high in trans fats, saturated fats, salt, and other types of carbs and alter the portion size. Sugar Alcohols And Polyols – These are hydrogenated carbs that are used as sweeteners and give about 0.2-0.4 Calories/g instead of 4 Kcal/g from fully assimilated carbs. According to the FDA regulations, the food companies must estimate the calories obtained from the sugar alcohols and polyols as 2.4 Kcal/g. Dietary Fiber – Dietary fiber is a complex carb that helps improve satiety and adds bulk to the stool (click here to know about high-fiber foods to aid weight loss). Fruits and veggies are loaded in pectins and hemicellulose that get fermented in the large intestine and produce fatty acids. 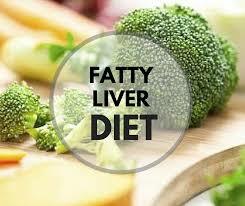 The fatty acids are then transformed into energy. Cereals mostly contain cellulose, which may or may not be somewhat fermented. The energy received from the dietary fiber is about 1.5-2.5 Kcal/g. Glycerine – Glycerine or glycerol is about 75% as sweet as sucrose. 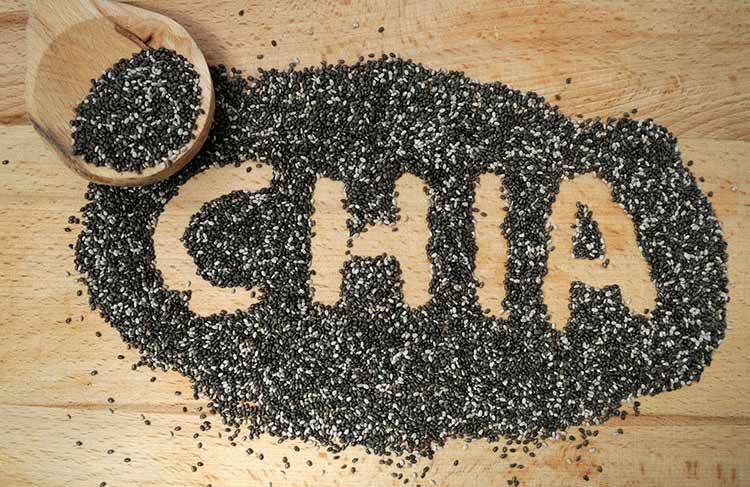 It is identified as a Safe Food Additive by FDA, and the energy it contributes is 4.32 Kcal/g. It is largely used in frozen desserts, nutrition bars, and ice creams. According to FDA regulations, synthetic glycerine must be added in the carbs calculation. But several food companies do not think glycerine as carbs and omit their inclusion. So, you see, it depends on the food companies on how they choose to reveal the carb content. A low-carb meal is, of course, lower in carb content, BUT it may have reduced satiety. This means, you will tend to eat more of the “low-carb” foods, and that may add to weight gain. Total carb content of a low-carb meal is 52 g, BUT the computed net carb is 17 g. The rest 35 g carb is refuted. To lose weight, you have to master to look ahead total carbs, net carbs, calories, and fats stated on the packaged foods. Weight loss depends on several factors like age, body type, history, height, lifestyle, medical condition, medical and genetics. 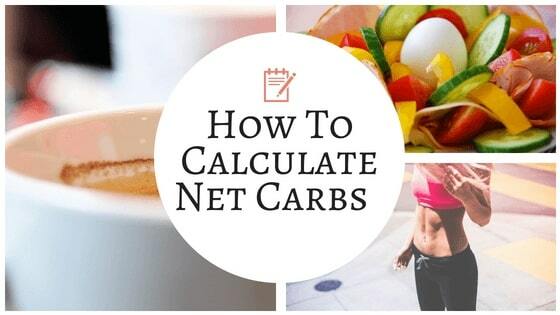 Simply counting calories or net carbs may not give you the aspired results. Avoid consuming packaged foods, energy drinks, diet soda, prepared frozen foods, deep fried foods, and packaged fruit and vegetable juices. Eat whole food sources of carbohydrates like fruits, veggies, nuts, and whole grains. Make energy bars at home using whole foods. 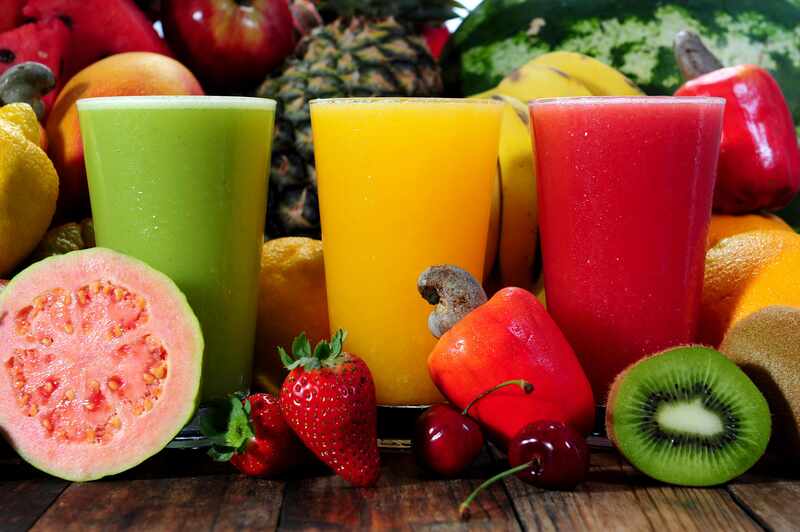 Drink freshly pressed fruit and vegetable juices, and, when possible, homemade buttermilk, condiments, and salad dressings. Drink or have a small amount of protein 15-30 minutes post-exercise. Net carbs might be necessary when you are following an advanced and specific diet – like the Ketogenic diet – if you fall under a specific BMI range and experience metabolic syndrome. But if you are overweight and can lose weight by having whole foods and exercising regularly, avoid obsessing over carbs and calorie counts. 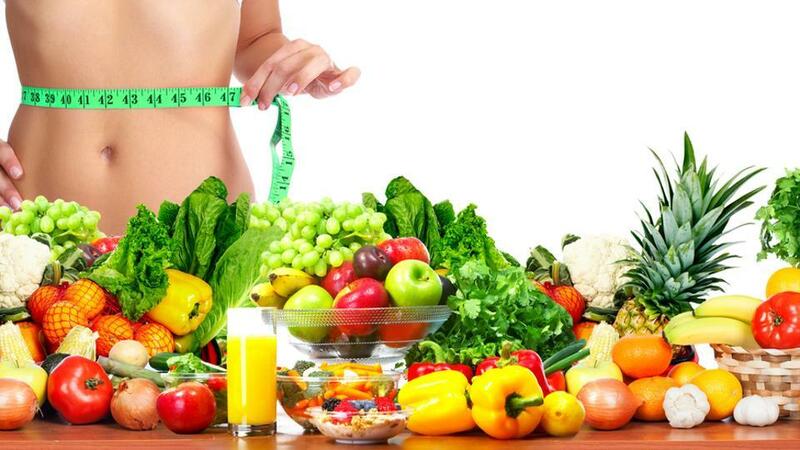 Concentrate on eating healthy and staying active, and you will see excellent results in three weeks’ time. Carbs at Night: Is it Okay to Have Carbs For Dinner?